"My great grandparents, Mr. & Mrs. L. P. Yandell lived in a house that I believe was a Mead's house. The house was at the corner of Stanwich and Taconic in Greenwich. They moved in around 1917. Included is a painting of the house which was most accessible at the moment but I have more photos and historical documents archived. Anyway I was wondering it the place was familiar to you, if it still stands and which Mead resided there." If you can answer his question please contact us at meadburyinggrounds@gmail.com. 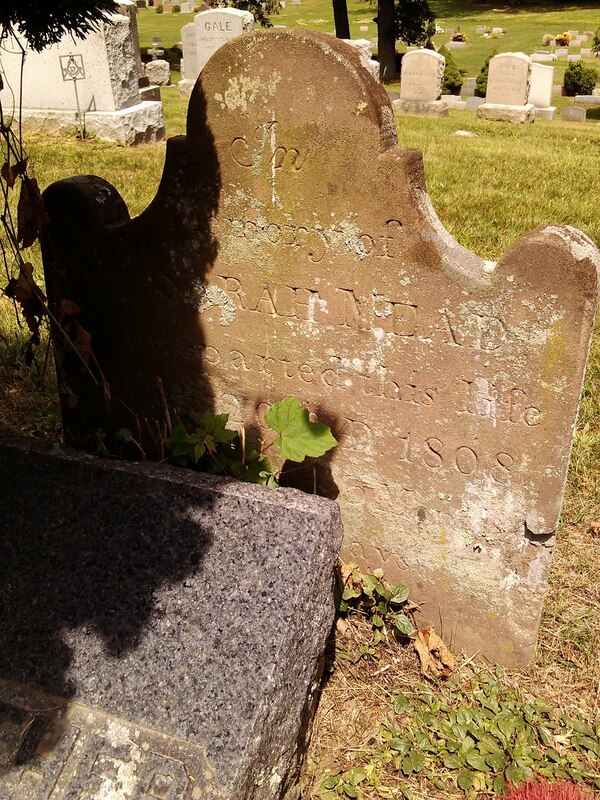 For as far back as anyone alive today can remember the family burying ground at Cos Cob has posed a mystery. 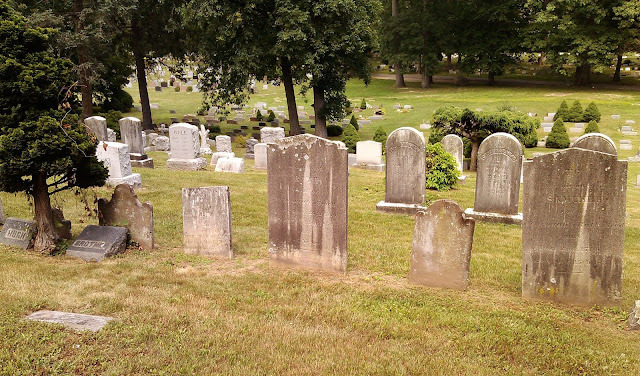 Upon ascending up into the cemetery visitors notice a small downswing off to the right side closest to the Mill Pond. Why was it there? It certainly did not appear to conform to the rest of the landscape. I was going through my collection of 35mm slides for donation to the Greenwich Historical Society’s archives. This collection mostly consists of research I conducted on the cemeteries in Greenwich, Connecticut during the 1980s and early 1990s. I had some of these professionally scanned. While going through them I noticed the image pictured above. 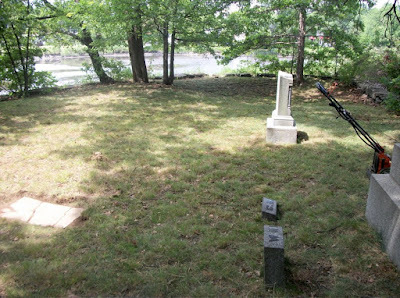 The area in question was the site of graves that were disinterred in the 1880s. 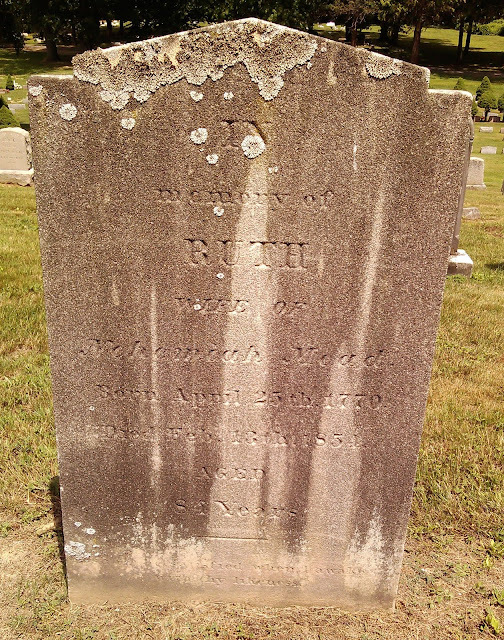 The image is one taken of records kept at Greenwich’s Town Hall showing that a number of graves were disinterred from this cemetery and reinterred in Putnam Cemetery. 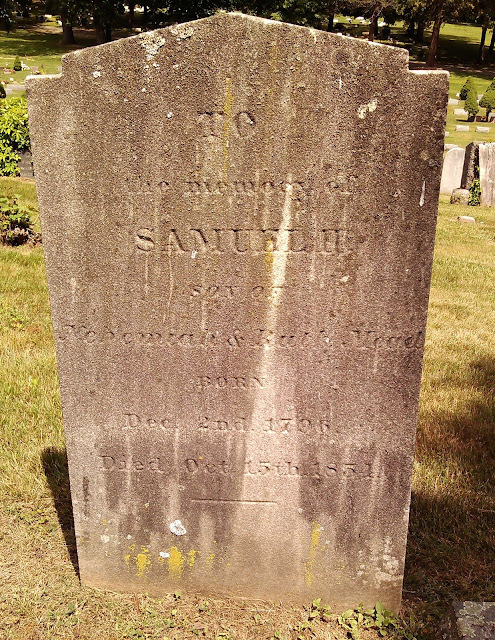 The name ‘Thomas Young’ is the sexton who, by definition, is someone employed or perhaps a church officer whose responsibility is to care for church property, including the digging of graves. 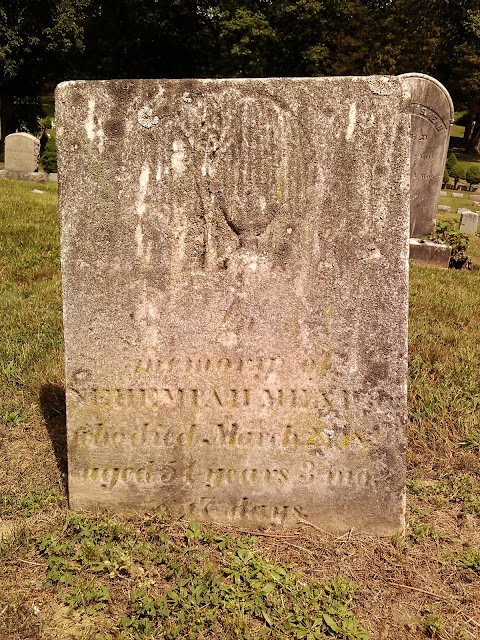 Sarah Mead, daughter of Nehemiah and Ruth Mead, d. May 12, 1871, aged 72 years, 10 months and 9 days. 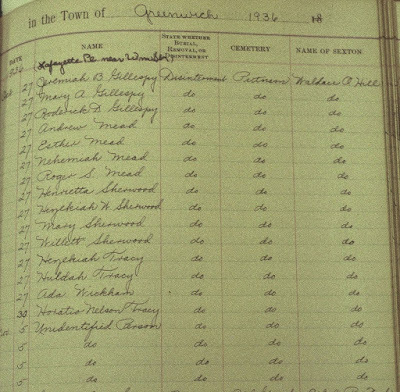 Aside from the list of names, the genealogical information was taken from Spencer P. Mead’s Abstract of Records of Tombstones of the Town of Greenwich, Connecticut, 1913. As to why the graves were disinterred, that remains a mystery. I suspect it always will be. I am please to report that I have not fallen off the side of the Earth, as some have pondered recently. I just recently moved to a new home with a decidedly country air to it. My hope is that my career in condominium living is over. I also had some 35mm slides scanned which relate to the family cemeteries. These will be posted with historical commentary in the days ahead. It's nice to be back. Cheers! 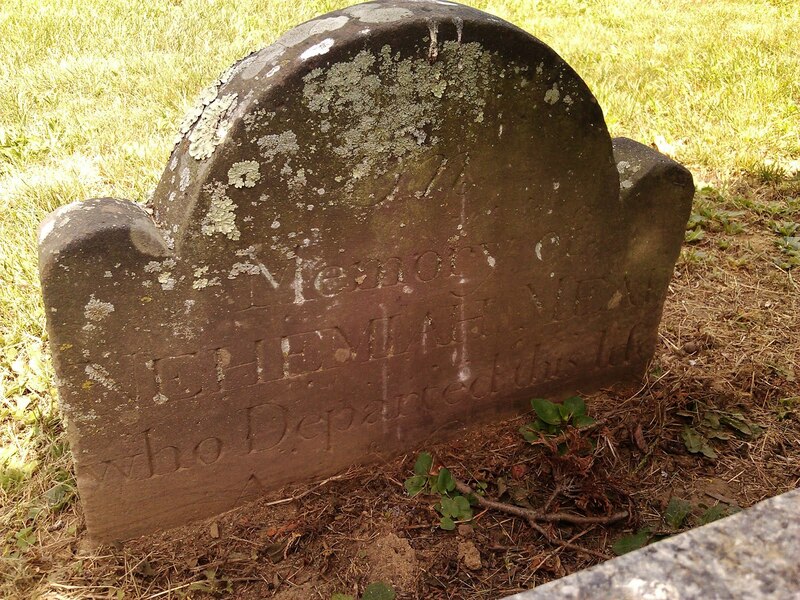 The family burying ground featured today is the smallest of the three the Association preserves. 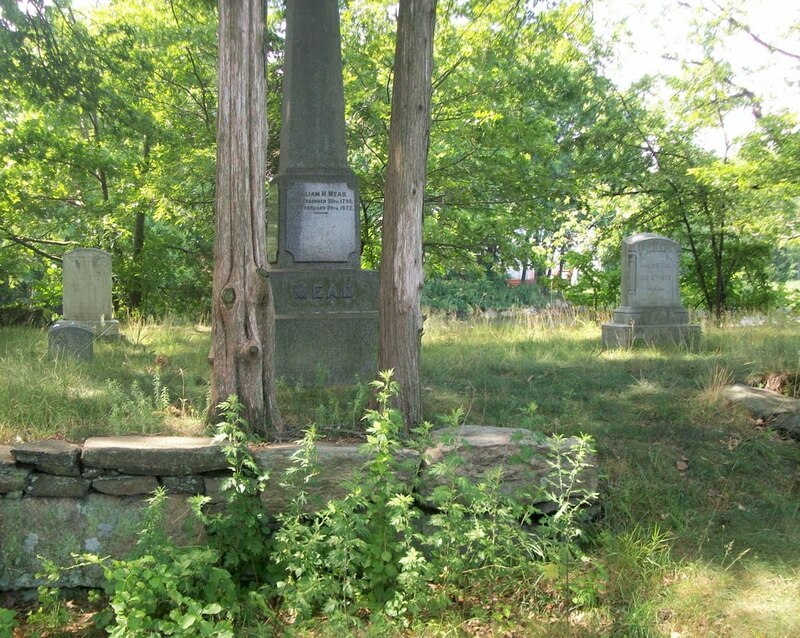 It is located near the intersection of North Street and Taconic Road within sight of one of the family homesteads. In 1971 Edgar T. Mead, Jr., a direct descendant of those interred here, published a book entitled The House on Lot and Drake's Corner, that we highly recommend. 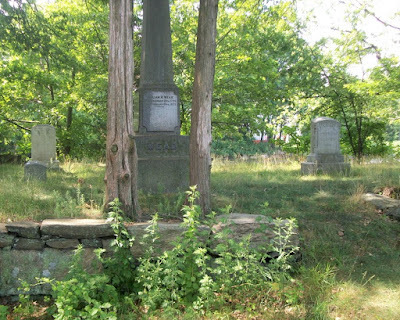 The three final pictures featured at the link below were taken during the last week of June, 2010 by my cousin Robert Keeler, who is maintaining the cemetery off Relay Place at Cos Cob's historic Mill Pond and the cemetery off Cliffdale Road in North Greenwich. 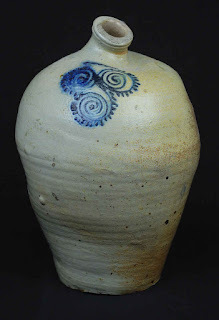 Go to this link to the Association's web-based albums to view the pictures. As I sit writing from my home in Honolulu I have read that temperatures at Yankee Stadium in New York City stand at 110F. It seems that the horrid winter experienced by some many in the Northeast is to be followed by one equally hot. You have my sympathies! If we in Hawaii were experiencing some trade winds I'd gladly send them your way. This news reminded me of how in any historical age people will do what they can to seek comfort. The above picture was taken by me on a ride to and from Island Beach off the Greenwich coast in Long Island Sound in 2008. The building is located adjacent to the Indian Harbor Yacht Club off Greenwich Harbor. For many years it was known as the Silleck House, one of the earliest shore hotels in the region. I've long wondered if any of our family ancestors built the place. 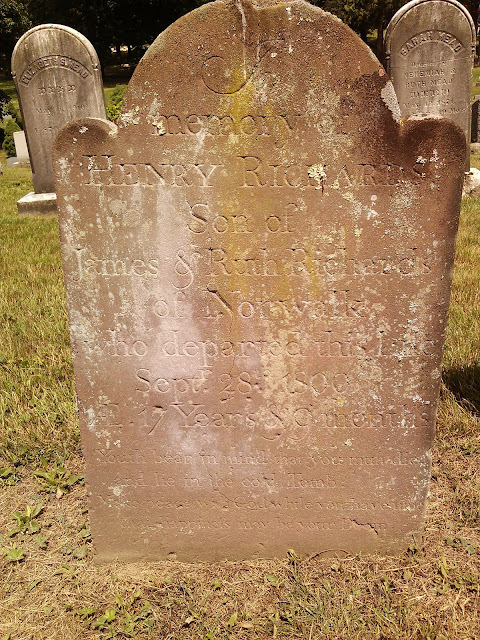 I contacted Anne Young, archivist of the Greenwich Historical Society with a request for some information. After inspection of the materials I received my curiosity appears justified. The Silleck house is the oldest hotel on either shore of Long Island Sound between Sands Point, which is located opposite City Island, New York, and Stonington, Conn. It was build by the late Jared Mead in 1827, the frame construction being erected on dirt cellars which had been on the property a number of years prior to that date. Mr. Mead was a great-grandfather of W.P. White of Field Point Road. During the first few years it was run by Mr. Mead as a boarding hotel under the name of 'The White House,' the project did not prove successful and in the spring of 1849 Mr. Mead sold the building and grounds to Mrs. Fannie Runyon and Mrs. Mary Dennis, who in turn resold it to Thomas Funston on February 9, 1850. Thaddeus Silleck, grandfather of Elbert A. Silleck, became the owner on May 25, 1855, and later it fell into the hands of Mr. and Mrs. Elbert A. Silleck and Edward T. Foote. Mr. Silleck for many years conducted a most successful fashionable summer hotel there. "Situated near the shore with a dense forest on three sides, it was an ideal spot for a quiet summer retreat. The trouble with the "White House," as Mr. Mead called it, was due to the fact that table supplies were difficult to obtain. At that time there was no market in Greenwich. To supply the table with meat it was Jared Mead's custom to purchase lambs and calves of the farmers and butcher them on the premises. Vegetables were secured at market sloops. Butter was difficult to buy as the farmers preferred to send it to New York. The cows were pastured on Field Point, assuring a good supply of milk and cream. The water was brought from one of the Field Point springs, there being no well near the hotel. Apples were free to anyone who would gather them. 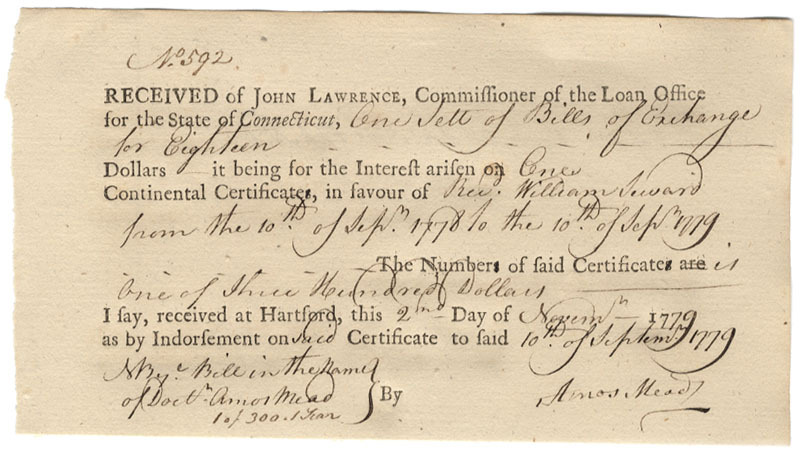 "Mr. Mead had a good class of boarders at what then thought to be remunerative prices, but he found it quite a struggle to maintain a satisfactory table. His fried fish, broiled lobsters, succulent oysters and scallops were considered most palatable, but there always came a time when the appetite demanded fresh meat." The above-mentioned Greenwich News & Graphic story lists the names of some of the luminaries who stayed at the Silleck House. The include William B. Taylor, former postmaster of New York City; Horace Greeley, John Hoey, Robert M. Bruce, Charles A. Whitney, the New York banker; and a "Professor King" of Columbia University. Yet perhaps the most famous -or infamous- was none other than William M. Tweed, better known as "Boss Tweed" of New York. "From a small building it was enlarged from time to time until it becamse one of the finest and most up-to-date hotels outside of New York and hundreds of prominent people from all parts of the country used to spend their summers at this popular hostelry, " continued the Greenwich News & Graphic. 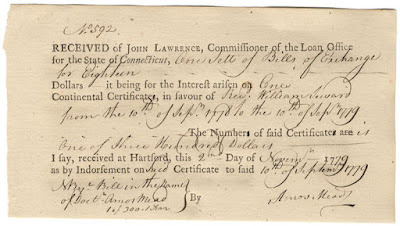 "In the early days boarding rates were $2.50 a week while of more recent date enormous prices have been charged not only at this but other similar hotels in Greenwich. Summer sojourners will now pay most any prices to get a breath of real country air and enjoy the many privileges afforded at these resorts." We found this article in the archives of the New York Times. Published on January 12, 1900, it features comments by then-Town Clerk James R. Mead. It seems New Yorkers were venturing to Greenwich in order to be married under the evening moonlight, spoiling many evenings for Mead, his assistant, Greenwich clergy and Justices of the Peace. Enjoy! 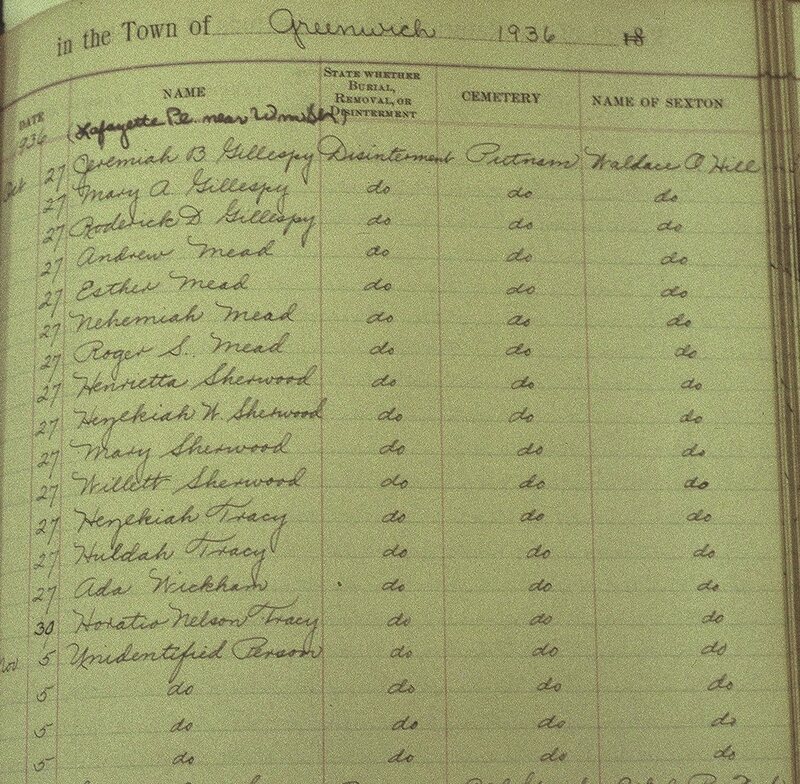 GREENWICH, Conn., Dec. 6 -- After a silence of more than thirty years, Judge Frederick A. Hubbard of this town has published in a local paper a story which he believes explains the method by which Boss William M. Tweed got away from New York after his escape from Ludlow Street Jail on Dec. 4, 1875. Click here and download the pdf file. You speak about the Abolitonists. I will here just state that their enemies gave them the name of persons of one idea and I for one will respond to that name. I hope I never shall have any other idea only to do God's Will without distinguishing whether it is popular or not, and that I believe is true respecting the largest part of the Abolitionists that I am acquainted with. You say you are afraid some of the Abolitionists zeal for that object blinds their eyes to other benevolent objects, we often hear that said with us, so often, that it would be impossible for us to sleep. The truth is because we do not go and spend all our strength pushing the car where the most are pushing, then we are slandered. I tell you my friend in a general way show me an Abolitionist, and I will show you a strong Temperance man, and a strong man for keeping the sabbath, and a strong man for God anyway and everyway, a real go ahead Christian. There may be some exceptions, but I should think not many in proportion to the whole. You say you are afraid I am a getting cold on that subject: no my dear friend, nor shall I ever so long as I have the Bible to read, and my powers of reason left me. I have made up my mind not to foul my fingers with it anyway. I'll not vote for it, but against it, nor will I use the products of slave labor as a general thing neither for eating, or wearing, at home or abroad. I must say that (as I do by alcohol) that I am opposed to it at all times and places and for anything and everything. And I would say to you hold on against slavery, it does good. The Association's web site is in the process of updating and redevelopment. Some of the features will be simplified. Links to this news-blog and the YouTube channel will also be added. Some of the visuals have been updated. Our hope is that our descendants near and far will further enjoy the web site as our primary educational tool for family and public outreach.